If you know you’re good, let’s see it. Come sell us. 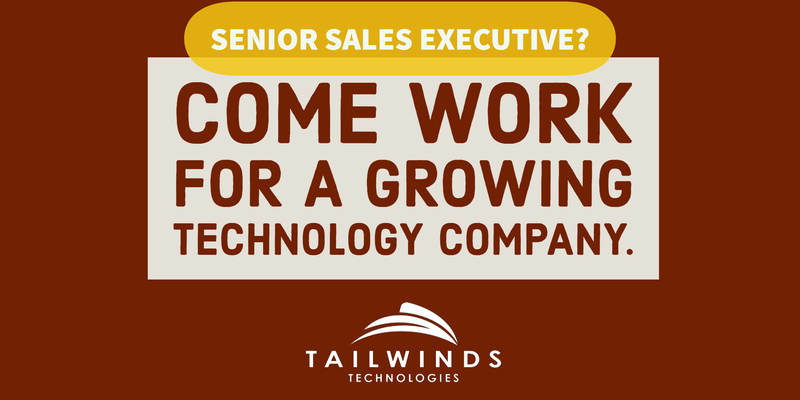 We have a senior sales position open in an ever changing, rapidly growing tech industry. We are looking for someone who can set, achieve, and exceed goals. You can join us, or watch us from over there. You have to stay on top of your game. The technology industry does not slow down. Be ready and stay ready. You need to know your stuff; what your strengths are, where you shine. We want what you can bring to the table. Self-Motivated. We do not want to babysit. We can not be efficient in our areas if we have to man yours. Be a People person. If you need to be told this, then you are not a fit. Product Knowledge. We will train you. You will feel good enough about our service that you would sell it to your own mother. Customer Service. We are highly driven to offer the best customer service in our market. We look for others that share the same mentality. Produce new revenue by researching and analyzing potential prospects and sales options. Develop relationships with prospects and recommend solutions to improve their production through the use of your products. Gain new leads by cold calling, partner relationships, and customer referrals. Meet sales revenue targets and goals. Develop, implement, and maintain sales activities and plans. Build and maintain long-term relationships with current clients and their management teams by providing information, guidance, and support; recommending service and profit improvements; and recommending new opportunities. Lead and coordinate contract negotiations for a successful close. Prepare reports by analyzing and summarizing information. Mentor team members and teach improved processes in order to enhance staff accomplishments.